The games just keep on coming and more so Amiga ones, as Per-Ola Eriksson has contacted us about a rather lovely looking game called Easter Egg that has been updated for 2016. 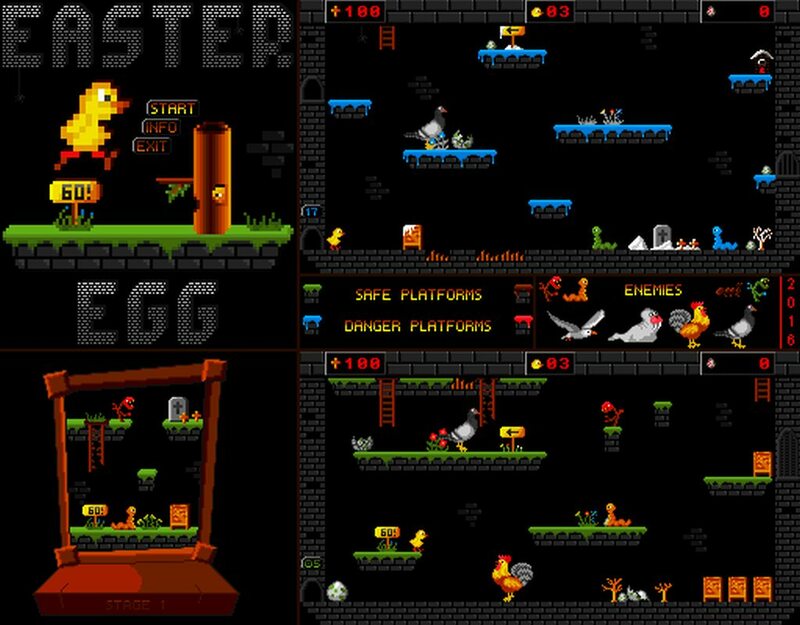 Developed in backbone with soundtrack by Andrzej Drozd and graphics by Czeslaw Mnich, Easter Egg is an enjoyable yet challenging 2D arcade game where you play as the role of a chick through 31 levels, collecting eggs and avoiding enemies. Although the demo version was launched in 2014, this latest one features grass, ice and lava stages! During the game you'll be able to pick up big golden eggs which give you extra lives, but be careful of not just the enemies, as some of the coloured platforms such as the ICE has been known to deplete some of your energy levels. But if the game is too tough for you, you could always use the cheat mode, that enables extra lives, energy or a level skip.